we belong & should get along here. 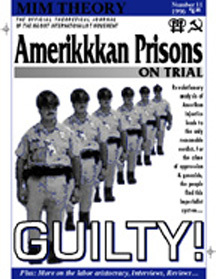 Review: Amerikkkan Prisons on Trial - Guilty! It's not for nothing that MIM dubbed the Amerikkkan prison system "the primary tool of oppressor nation repression in the united $tate$," and a review of MIM Theory 11: Amerikkkan Prisons On Trial makes this point ever so clear. Though this particular MIM Theory journal is dated (1996), like all MTs its message is not. It still serves as a good introduction to the Amerikan injustice system just as Lenin's Imperialism: the Highest Stage of Capitalism continues to serve as an introductory foundation in political economy for those wanting to study the thinly veiled intricacies of modern-day imperialism. One read and you'll see why Amerika, that "shining city on a hill," is in all actuality the prisonhouse of nations. MT 11 is a must-read, not just for the political- and class-conscious prisoner, but for all prisoners as a stepping stone on the road to liberation and sure footing to understanding the exact context of our imprisonment. Beginning with the essay "Amerikan Fascism & Prisons," MIM lays out the only real fascist aspect in Amerikan society - the Amerikan prison system. This work is indeed of exceptional relevance as MIM points to the economic motivation behind fascism as well as to the white petit-bourgeois element that breathes life into this most barbaric expression of capitalist production and its anti-revolutionary mission statement. The article "Capital & State Join Hands In Private Prisons" further elaborates on the thesis that fascism is not just alive and well within the Amerikkkan prison system, but that it has been expanding since the 1980s in the private prison phenomenon, which is but the melding of capital and the state in the growing war against the oppressed nations, with the prerequisite and additional benefit of continuing to win over the middle classes to their side by ensuring them an always available form of employment. "Prison Labor: Profits, Slavery & the State" then explains how the possibility of open slavery can come back full force thru the institution of the prisons as it was once manifested pre-Civil War. This article also speaks of the important political functions the prison system serves repressing in the national liberation movements and the further indoctrination of the labor aristocracy with fascist ideology. Nothing however drives home the colonial relation between Amerika and the oppressed nations like the articles "Political Prisoners Revisited," "Political Prisoners & the Anti-Imperialist Struggle" and "Who Are the Political Prisoners?" "Political Prisoners Revisited" is a good example of the Maoist tenet of unity-criticism-unity in which MIM explains the basics of their line concerning prisoners in Amerika in a dialogue with the New Afrikan Independence Movement. MIM argues that the term "political prisoners" shouldn't just be reserved for individuals such as Mumia Abu-Jamal or Leonard Peltier, but is more appropriately and powerfully applied to all prisoners. All prisoners currently incarcerated under the dictatorship of the bourgeoisie are rightly so political prisoners because the "laws" that we supposedly broke were laws specifically designed for the backing of the backward illegitimate political agenda of the superstructure and the settler state which it serves. To ignore or refute this point with respect to the entire imprisoned population and instead deflect the political aspect of this oppression to just a few individuals is not just a victory for the bourgeoisie but is itself bourgeois in essence! "Political Prisoners & the Anti-Imperialist Struggle" centers on the antagonistic contradiction of Amerika vs. the oppressed nations that is reflected thru the prison system. It focuses on the material basis objectively present in the form of the gulag, and the material forces already present therein. MIM discusses the dire need for leadership to further help develop these potentially revolutionary forces to their logical conclusion, or in MIM's words: "to unite all who can be united to smash imperialism and all its tools of oppression..."
MIM understood the process of rapid radicalization of "common criminals" as a profoundly political one and in their agitation they emphasized that process as reflecting the material basis for revolution as does MIM(Prisons) and USW. Unity on this point is therefore essential to re-launching the new prison movement in connection with the national liberation struggles which have been repressed and stagnated by the oppressors with mass incarceration. Finally, "Who Are the Political Prisoners?" is a New York prisoner's contribution and advancement to the MIM line on political prisoners in which s/he expounds MIM's line in detail and in such a way as to leave no doubt that the growth of the prison system within U.$. borders is not just a boil, but a cancer on the oppressed nation internal semi-colonies that needs to be mercilessly removed! MT 11 also contains, among other things, an essay on Malcolm X's progressive development, a critique of Gandhi's so-called "non-violence" and pacifist strategy and tactics, as well as some good theoretical works and revolutionary poetry. For all these reasons combined, MIM Theory 11: Amerikkkan Prisons on Trial gets four out of four red stars. Death and Destruction to the U.$. Empire! Birth and Construction to the Prison Revolutionary Movement! En diciembre de 2011, la Oficina de Estadísticas de Justicia dio a conocer sus informes anuales sobre la población penitenciaria en los Estados Unidos. (1) Los informes se refieren a personas mayores de edad bajo la supervisión correccional del año 2010. Por segundo año consecutivo, esta población ha disminuido; este fue el primer descenso desde la década de 1970 cuando el numero de presos en la cárcel empezó a crecer significativamente. A finales de diciembre de 2010, el número total de personas en el sistema penitenciario, incluyendo aquellos bajo libertad condicional, y aquellos en la cárcel, fue 7.076.200. La población carcelaria en este país cayó 0.6% a partir de 2009, el primer descenso desde 1972. El número de presos federales en realidad aumentó un 0.8%, pero la población carcelaria del estado se redujo por la misma tasa. Debido a que hay más presos estatales que presos federales, hubo una caída general en las tasa de encarcelamiento. Las tasas de encarcelamiento por causa de convicciones penales nuevas han ido disminuyendo desde 2007. No obstante este ha sido el primer año que las cifras de liberaciones han excedido el numero de nuevos presos ingresos, lo que mantiene la población carcelaria casi igual. Sin embargo, las tasas de liberación se redujeron un 2.9% en 2010, por lo que estos números no reflejan un aumento en liberaciones. De hecho, el tiempo servido por presos estatales siguió siendo el mismo. El informe ofrece dos posibles explicaciones para la caída de la población carcelaria en los Estados Unidos: “Ya sea una disminución en la probabilidad de una pena de prisión, o condena dada, o una disminución en el número de condenas.” Por desgracia, los datos sobre estas medidas todavía no están disponibles, pero cualquiera de ellos sería una buena cosa para lograr. Sin embargo, como se mencionó anteriormente, es probable que estos cambios sean el resultado de las necesidades financieras y no un cambio en la política en torno a la prisión y el encarcelamiento. Hay algunas tendencias interesantes que demuestran la nacionalidad por parte de un compromiso continuo con la opresión nacional por el sistema de injusticia criminal en Amerika. Negros y blancos ambos han sentido una caída en las tasas de encarcelamiento, pero la disminución de los blancos (6.2%) fue mucho mayor que aquel de los negros (0.85%). En los últimos años los inmigrantes han sido la población de más rápido crecimiento en las cárceles de los Estados Unidos. Mientras que el 2010 vio un aumento de 7.3% en las tasas de “hispanos” en la cárcel, indocumentados vieron una ligera disminución en sus cifras de encarcelamiento, probamente debido a un aumento masivo de deportaciones. Los hombres negros siguen componiendo el sector mayor de la población carcelaria y son encarcelados casi 7 veces más que hombres blancos. Hunger Games is set in Panem, a society that, it is implied, rose from the postwar ashes of north America, and now consists of The Capitol and the 12 fenced off satellite Districts. Many of these Districts produce wealth for the Capitol while their people live in poverty. There is apparently no national oppression (most people are white), but class contradictions are sharp. The Hunger Games are annual fights to the death by two kids representing each of the Districts. In the wealthier districts, kids train for this and consider being picked a privilege. In the poorer districts families are forced to sell their kids into the hunger games in exchange for food required for bare survival. Katniss Everdeen is from the mining District 12 where her father, and many other miners, lose their lives producing wealth they will never see. She volunteers to take her younger sister's place for the annual hunger games match. The Hunger Games are broadcast live as reality programming. The Games are meant to remind the people of the power of the government. This brutal form of reality entertainment serves to keep the people of the districts distracted and obedient. Out of 24 participants, only one child lives. This movie is part one of a trilogy. The books get much deeper into the politics of oppression, even in the first volume. But as a broad representation of the first book, the movie gets at the general system and has a correct message of resistance. Katniss refuses to play the game the way the Capitol organizers intend, inadvertently earning the support and respect of other Districts and inspiring resistance against the Capitol. In one scene she pauses to pay tribute to a fallen child from another district who was working with her. 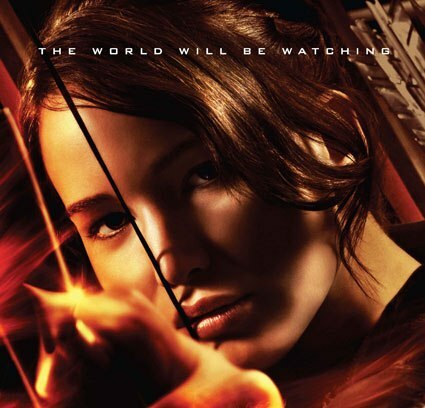 In the end [spoiler alert] Katniss commits the ultimate snub against the Games, refusing to play to the death. She manages to outsmart the organizers but all she wins is the right to go home a celebrity of dubious distinction for staying alive. There are some good lessons from this Hunger Games movie. The importance of unity across oppressed people in the common cause against the oppressors is reinforced both in the individual alliances and the cross-district support of Katniss. The movie also demonstrates the brutality and distraction techniques of the ruling class and their willingness to stop at nothing to retain their power. There is an interesting subplot about the two main characters from District 12 pretending a love interest as a survival technique to get the support of "sponsors": wealthy people who can pay to provide advantages to their favorite players. Using whatever means available for resistance is important for the oppressed, though the actual romance in the movie dilutes this message. The movie is adapted from the first of a trilogy of books but some of the politics of the books are already quite muted in the movie and it will remain to be seen how well the sequels represent the struggles of the oppressed. Greetings from NC, I am writing to you to request that you send my daughter your newsletter. She is confined in a Virginia prison in Troy, VA. From what I hear there are men guards who regularly bully and physically abuse women there. My daughter has communicated to me that on one recent occasion, a male officer broke a female prisoner's arm. In one of my letters I tried to send her information and addresses for resources in VA that could help them fight their oppression but due to their overbearing censorship of mail, she never received that information. Those women are on the verge of rioting to get justice for all of the persecutions and afflictions that are being perpetuated upon them by guards. All they need is a little push of inspiration to help them along. They need to know that there are thousands of us similarly situated who support them and who are comrades with shared agendas. Please send her some literature to share with others and if possible to let her know her father and his friends (you) are behind her en masse. The last newsletter received from you was Under Lock and Key, March 2012. We are finally off of lockdown here at Lanesboro prison and Captain Covington has been fired as well as our superintendent for destroying video footage of guards beating inmates. If we all worked together and against the prison industrial complex as a team, we could accomplish and acquire so many rewards. We appreciate your newsletter here at Lanesboro. These above mentioned words are as true today as they were when they were first written 40 years ago. 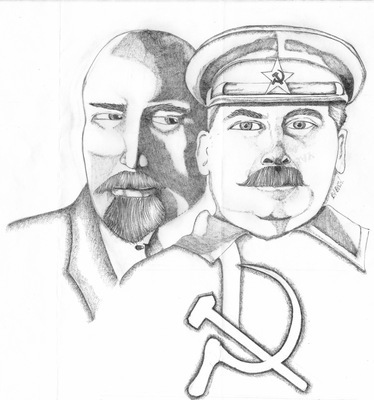 The importance and relevance of Stalin's great theoretical works were at the core of the international communist movement for damn near 90 years and should serve as a rock-hard foundation for any persyn serious about wanting to re-ignite the socialist fire that was ablaze for the greater part of the last century. As successful as the imperialists have been in vilifying not just the world revolutionary movement but it's once main proponent, they can never completely succeed in wiping the memory or more importantly the teachings and practice of J.V. Stalin from the minds of countless people around the globe. Yet the imperialists and their quisling lackeys such as Bob Avakian of RCP=U$A fame continue to desiccate Josef Stalin be it by "new", "conclusive", "secret archive" evidence or by the "new synthesis" method of attack. Therefore it is the duty of all the real revolutionaries to defend and uphold the practice of Stalin not just because it is integral to the successful practice of revolution as the people of Korea, Vietnam and Peru can attest to but because to attack Stalin is to attack the theory of Marx, Engels, Lenin and Mao as well; and the only way of doing this is to (a) study Stalin's works and (b) put it into practice! and we will find that (c) without revolutionary theory there can be no revolutionary movement as practice gropes in the dark unless it's path is illuminated by the most advanced revolutionary theory. In my mission to learn the science of revolution I requested "The Essential Stalin" from MIM Distributors and must say with great certainty that my grasp of Marxism-Leniism-Maoism has been increased ten-fold thanks to my acquiring and diligent study of this most valuable Marxist-Leninist weapon of liberation. From the most intriguing introduction which is packed with such hysterical data that reads like the most vivid novel to "Marxism and the National Question", J.V. Stalin's first major theoretical contribution to the oppressed people of the world and to which any self-proclaimed revolutionary nationalist would be remiss not to study, to the "Foundations of Leninism" in which Stalin always the teacher clearly lays out not just the hysterical roots of the first truly successful revolutionary ideology based on Marx & Engels formulations which led to the worlds first socialist society, but in which he clearly relayed to the Soviet Union that they would stay the course set by Lenin; to "Dialectical and Historical Materialism" in which he explained the rudiments of Marxist philosophy and which was once considered required reading for all members of the Chinese Communist Party or "Marxism and Linguistics" where Stalin in replying to young communists properly put forward the place of language in the revolutionary movement while simultaneously critiquing the dominant Soviet "authorities," i.e. 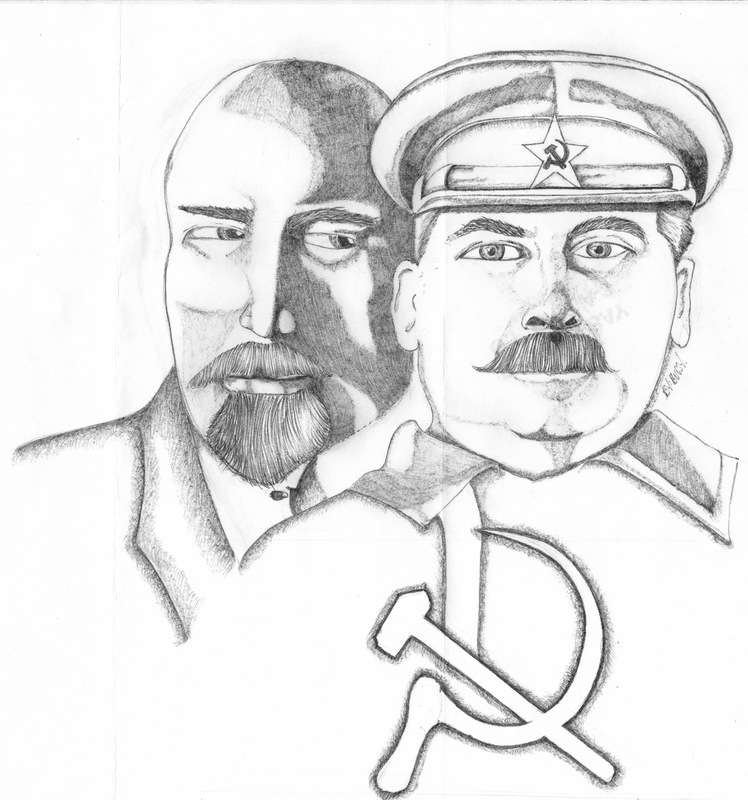 revisionists, or "Economic Problems of Socialism in the USSR", Stalin's criticism of "two extreme tendencies in Soviet political economy, mechanical determinism and voluntarism" which were propagated by the new bourgeois in the party who wished to cause the disappearing of man in socialist production. Surely after leading this communist jewel you will find as did I why it was Mao himself who described Stalin as "the greatest genius of our time" and labeled himself as disciple of Stalin. Studying Stalin however isn't always the easiest task and requires deep thought. Rest assured however that by completely immersing yourself in Stalin's work and undertaking a painstaking study of it you will be illuminated by the shining path put forward by comrade Stalin, and while he wasn't always the perfect communist for the Soviet Union, he was the best they had and as a result the International Communist Movement flourished. So often I hear about all these "new" groups popping up, and I can only laugh. It's 2012, there is nothing "new." The foundation for our political beliefs has already been laid. There is nothing "new" about these stances/agendas and their supposed political beliefs. The only thing that is different is the day and age we live in. The root of our problem remains the same, the haves oppress the have-nots. However, the point of this writing is to address my thoughts, feeling and opinions on all these "new groups" popping up. There are any number of them, with a wide range, variety and jumbled assortment of colorful names. The names range from political to outright comical in wording/phrasing. Some state just who and what they are. Some are rather ambiguous and then others are as laughable and colorful as a male peacock strutting in full plumage. And as we're aware, no matter how a peacock struts, it hides in the trees the first time a storm threatens. It's cowardly, and more importantly, embarrassing. For all the strutting and plumage behind the colorful names, the truth is they do nothing, accomplish nothing and solve utterly nothing. If anything they present more of a problem, because of the loud, attention-craving racket, and absolutely no productive political action, they cause the people (the ones we struggle for) to laugh and not take anyone serious. All they see is the "bells and whistles" of colorful names. All this does is take away from the true, sincere and actual revolutionaries striving to bring about the true and necessary changes and reforms to society, which is needed to overcome the corrupt imperialist swine oppressing us. Remember, that's the goal. To bring communism to the forefront of political power. Not to be dividing into numerous groups with no true moral fortitude to accomplish what's needed. Each time I see or hear about "new" groups claiming to have and hold the same beliefs, views and stances as already well-established, virtuous organizations are already firmly grounded. It presents me with a question: why? Why are these people so eager to form "new" groups? And why aren't they able to fit in with the already proven, reliable and established organizations? The answer I come up with is disturbing but can only ring true: Because these people lack of true moral fiber, and they possess one or more character flaws that prevent them from being accepted in and part of an already structured, active and producing organization. They are unable to follow the rules and regulations and necessary leadership to steer the group, and society as a whole, towards the ultimate goal: revolutionary change to overcome the oppression from the capitalist/imperialist swine. It's either that or these individuals who start "new" groups have outrageous delusions of grandeur, so they hop from group to group or create their own groups all in hopes to try and get their fix of feeling "important." We can all attest to the effect that there is no possible way to trust someone who hops from group to group, from cause to cause, showing absolutely no loyalty to anyone or even to their own proclaimed beliefs. In either of the above mentioned answers, I only see comical groups of misfits who do more harm than they bring about actual political change. So, since there are already well-established, grounded and virtuous groups out there being productive, find one! And devote your time, support and efforts to an organization already striving for the ultimate goal we're all struggling for. The entire point of this struggle is to work together, as one, for a common goal. The common goal. And only in uniting will that goal be reached. Continuous divisions amongst ourselves only slow the process of growth. Instead of dividing attentions, assets, resources and comrades, find a firmly established organization already fighting and struggling for the betterment of the people. And assist them in bringing about that betterment. It makes me sick when I hear about see or read of some "new" group of misfits breaking away, and who have no firm education in political maneuvering or strategy. And quite frankly it's insulting to see or hear a new colorful name or term like "gangsta this" or "gangsta that"
Are ya serious? That's embarrassing, especially when all those character-flawed people are trying to do is get attention to their no-account group by using a virtuous group to put their group name in print because none of their actions are meritorious enough to be deemed worthy of it any other and the proper way. Truly I hope not another group's name is printed. If you're a Maoist, then that's name enough. In closing, stop dividing and start uniting. As one people, in one struggle, doing one work, to overcome the imperialist pigs who oppress us. MIM(Prisons) responds: On the one hand, we agree with this comrade on the importance of not forming new groups just for the sake of recognition or self-aggrandizement (see "Building New Groups Vs. Working with USW and MIM(Prisons)"). Ultimately we need unity behind common Maoist principles for successful revolutionary struggle. However, at this current stage of struggle within imperialist Amerika, there is a practical need for organizing in a cell structure, where regional independence provides security. As we have demonstrated in our work with even the best of these new organizations which are claiming to uphold Maoism, we hold everyone to a high standard of work and don't just look at the labels and names they choose. This was seen in our work with the New Afrikan Maoist Party (NAMP) with whom we found some significant developing disagreements over line and strategy. We published a self-criticism about our working relationship with that group. The other important point to make here is that we should not hold everyone to the standard of Maoism to work with them. We need as many strong committed revolutionary comrades as possible. But for those individuals who are not at the level of communist theory, we can unite around anti-imperialist goals in a United Front. We don't want these folks blindly signing up for Maoism; we would rather they study and learn through practice about the value and seriousness of communism. And if there is no anti-imperialist cell or organization in their place, we support the creation of such a group. It is in forging this unity that we are building the United Front for Peace in Prisons and this is the basis for the names of groups being printed in Under Lock & Key declaring their participation in this United Front. We do our best to verify that these groups have an actual progressive practice, but we cannot be everywhere checking out everything, so we rely on our comrades to vet these organizations and look at their work over time for confirmation of their anti-imperialist orientation. In line with this comrade's critique, we have shifted our focus for United Front writings in ULK to practical reports, rather than statements of unity that were causing more trouble then they were worth. I have received ULK24. I love the article by release coordinator of MIM(Prisons) Overcoming Release Challenges. It goes into detail on the "Post-Release Plan" you all sent me. A comment on the time management is that it's true that time is critical, but as we do something like traveling to and from work or to see our parole officer, lunch breaks on the job, we communicate with people. This may not seem like much but one conversation on the basics can change lives. My backpack will go everywhere with me. And this backpack will be stuffed with the best zines, newsletters, etc. If I pass a store, I can place some on the counter: hand them out to "passer-bys." We should take advantage of every little opportunity with limited time. These "little" things will hold some over until more time frees up or until they get into the habit and get settled. And another comment is on "the personal vs. the political." I agree with MIM(Prisons) on security issues but on the attempt to preventing the destruction of relationships with friends and family in the name of the struggle, I don't agree. I say this to say if they can't accept me for who I am, then they're not real friends nor real family. This doesn't include telling them of more clandestine activities, but in telling them of your position and what you fight against imperialism. Your friends and family should want you to fight injustice. Not saying that they are obligated to do the same in order to be my friend - No! Everyone has a role in the struggle and some peoples' may be more radical than others. These challenges are paramount and needs to be tended to fully. The only way to go is up because we're at the bottom; we can't get any lower. MIM(Prisons) responds: We agree with this comrade on the importance of advantage of every minute to do some revolutionary organizing. And there is nothing wrong with talking in general about political views with friends and family if you think there's a chance they might be interested (if you have an FBI agent in your family you'd be a fool to talk to them about anything). But you have to be careful about what you share. What happens when they start asking questions about details on what you do just because they are curious. And when your friend is angry with you for something and decides to go tell the cops about your activity, you've just put yourself in danger unnecessarily. We encourage people to keep their discussions of politics on the level of theory with people you know, until they demonstrate a real interest in getting involved in something. There are plenty of strangers out there we can talk to about politics without fear that they can use it against us: there is no lack for people to educate and organize. The grievance campaign is very well alive out here in Arizona. As a litigious prisoner of war, isolated behind closed doors, I am doing my part in disseminating the grievance campaign where I feel it can have its most impact. I have also imported its meaning into an actual grievance alleging a denial of my First Amendment rights and access to courts. If Arizona Department of Corrections (ADC) does not follow through and respond to my grievances within their specified time frames, I anticipate filing a lawsuit. I am also seeking injunction relief, asking the court and ADC to consider how its grievances are handled when being delivered to prisoners. This is because I believe they should be handled confidentially due to the legal issues that are presented in these grievances. Your most recent letter including an Unconfirmed Mail Form and letter to Director Charles L. Ryan, et al. regarding censorship was given to me yesterday [3 April 2012] with "please pick up your idiot form from you CO III" written on it. In addition, a cigarette hole was burned through the letter. This type of misconduct is extremely unprofessional, especially coming from a government entity claiming rehabilitation, justice, standards, and professionalism. Unfortunately this type of unprofessional behavior seems to be an ongoing pattern of harassment against MIM(Prisons). I am requesting that an incident report be documented in this case, and that ADC conduct an internal investigation. Furthermore, I'm asking that they ensure that I am no longer harassed in the form of tampering with my mail, which is a Federal offense. I am sending this envelope to the ACLU who is now representing me and several other prisoners in a class action lawsuit against ADC Director Charles L. Ryan as the Defendant. We are alleging inadequate medical and mental health services, which are unconstitutional conditions of confinement. I am hoping they can see the hatred that is rained upon us at the hands of this corrupt state. This lawsuit appears to be following the footsteps of Brown v. Plata. The ACLU is asking for injunctive relief, asking that all mental health prisoners be taken out of isolation. I am including some addresses that can be helpful in gathering some momentum in our struggle. They are aware of the prejudice that we're currently experiencing. I'm hoping we can put this together and change Arizona's precedent to violate our First Amendment rights. MIM(Prisons) adds:Strategically, MIM(Prisons) disagrees with legal battles that do not serve the rights of all prisoners such as the popular trend of getting "mentally ill" prisoners out of isolation. Doing this further legitimizes the use of torture against those who are mentally strong and are put in isolation for political repression rather than "ill" behavior. There are better ways to reform torture and reduce the number of people in long-term isolation. 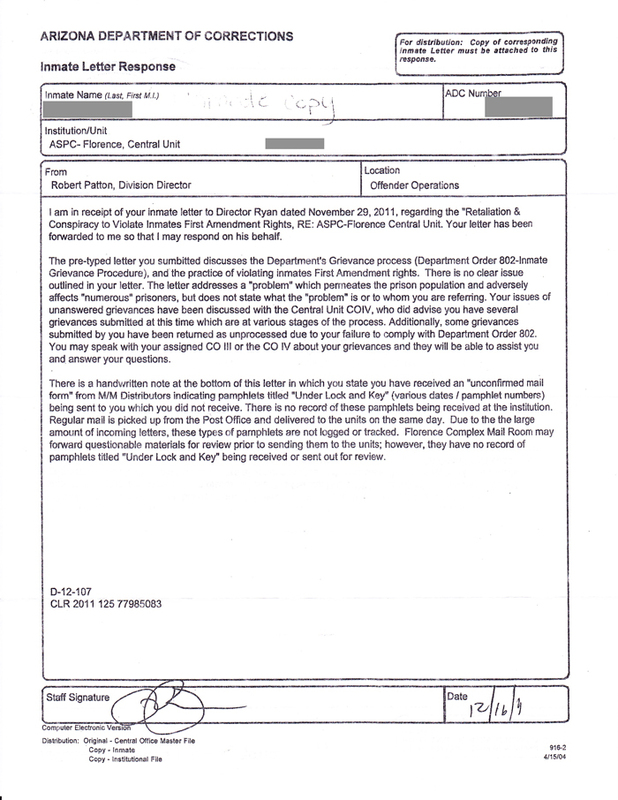 Above is a letter from a staff persyn at Florence Correctional Center responding to a grievance petition that a prisoner submitted. 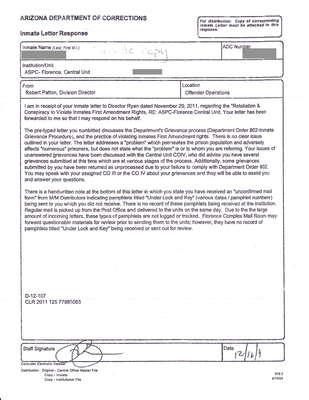 The staff persyn tells the prisoner to talk to a Correctional Officer about his grievances, when the grievance petition clearly says that this has been tried, doesn't work, and something else needs to be done to protect the prisoners' rights to due process. So far everyone who has responded directly to the many, many grievance petitions that have been submitted to various prison administrators all over the country have simply referred the petitioners to seek remedy from another entity. No one has taken responsibility for this issue, all the way up the hierarchy. Even when petitioning the United Nations for various humyn rights abuses, U.$. prisoners have been told to seek remedy within the United $tates "justice" system. We will continue to distribute and publicize the grievance petitions to further highlight this point. One prisoner reports to have seen some success in a lawsuit in Oklahoma. Clearly justice, due process, and fairness will not be given to us just by making the authorities aware of the problem. Raising public awareness may help apply pressure for reforms to be made. But the most thorough remedy for an end to injustice is to organize against the conditions that allow this to happen. A government designed to protect people and not profits would jump at the opportunity to correct an injustice, especially against its imprisoned population. We know that a society like this is possible, because we've studied how socialism worked under the Chinese Communist Party under Mao Zedong. We encourage everyone frustrated with the Amerikan administrative runaround to work with MIM(Prisons) to build for a better world.